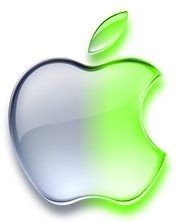 Apple announced two new programs aimed at reducing the carbon footprint of its manufacturing partners in China. The programs will avoid over 20 million metric tons of greenhouse gas pollution in the country between now and 2020, equivalent to taking nearly 4 million passenger vehicles off the road for one year. Apple is now generating clean energy for 100% of its operations in China. Apple operates 19 corporate offices and 24 retail stores in Greater China. Apple also announced that construction on 40 megawatts of solar projects in the Sichuan Province is now complete. Apple is significantly expanding its clean-energy investments in China. Apple plans to build more than 200 megawatts of solar projects in the northern, eastern and southern grid regions of China, which will produce the equivalent of the energy used by more by than 265,000 Chinese homes in a year and will begin to offset the energy used in Apple’s supply chain. Apple is also launching a new initiative to drive its manufacturing partners to become more energy efficient and to use clean energy for their manufacturing operations. Apple will partner with suppliers in China to install more than 2 gigawatts of new clean energy in the coming years. Apple has taken significant steps to protect the environment by transitioning from fossil fuels to clean energy. Today the company is powering 100 percent of its operations in China and the US, and more than 87 percent of its worldwide operations, with renewable energy. Picture: The Apple solar farm in Hongyuan, China will generate more renewable energy than is used by all Apple corporate facilities and retail stores in China.